Gift givers, we're getting down to the wire here. Halls have been decked and there's a partridge in the pear tree. Time to get serious. We've already delineated some of the simple kitchen tools we love, but if you're looking to make a big splash, here are a few big-ticket items we've either splurged on or put on our holiday wish list. #(clear n1). 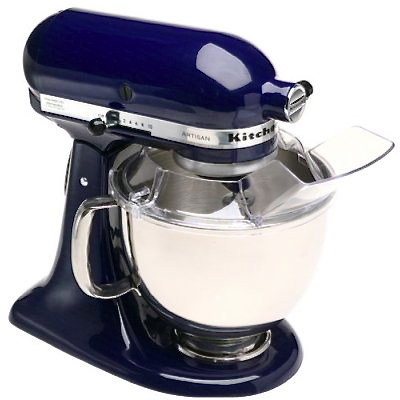 [%image mixer float='clear right' width=200] [%amazonProductLink "KitchenAid mixer" asin=B00005UP2K]. Editorial director Kim Carlson grew up using a KitchenAid, but she's never had enough counter space to justify buying one of her own. (It's time she confessed that she occasionally uses the food processor (see No. 3, below) to blend cookie dough.) She wonders if she's missing out. Most bakers she knows think so, including food editor Carrie Floyd. For years, Carrie, too, had gone without, until she received a beautiful, deep-blue, 5-quart KitchenAid for her birthday. It's such a workhorse for making cakes and cookies that its faults (how much room it takes up, how heavy it is to lift) have been forgiven. #(clear n2). 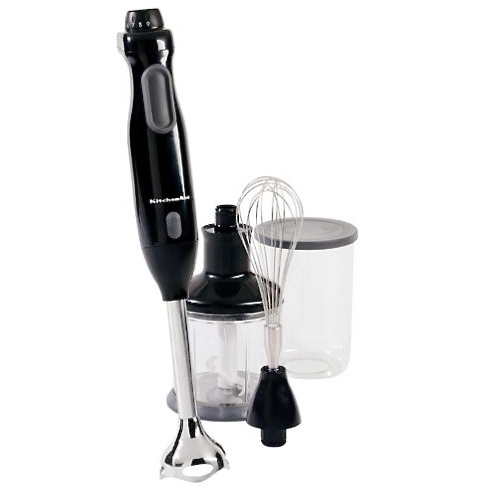 [%image handblender float='clear right' width=200] [%amazonProductLink "Immersion blender" asin=B00008GSAB]. For anyone who's ever hassled with pouring soup into a blender, batch by batch — dirtying pot, blender, then saucepan — the immersion blender is a dream. Purée soup in cooking pot, detach blade end to stow in dishwasher, reheat soup, and serve. Kim swears by hers for whipping cream in a nanosecond (using the whisk attachment, of course). #(clear n3). 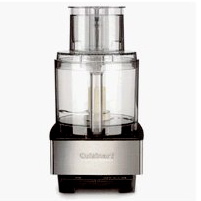 [%image processor float='clear right' width=200] [%amazonProductLink "Cuisinart food processor" asin=B000H46XQY]. 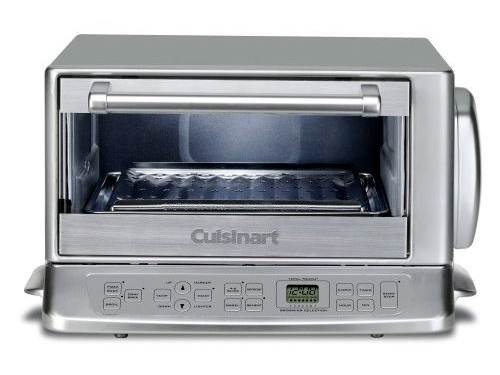 We don't need new Cuisinarts yet, but we might one of these days, because ours are both about 20 years old. Older than our marriages! Older than the Internet! Older, in fact, than every other appliance we own. Not familiar? We use ours, variously, for grating cheese or carrots; chopping nuts; whipping up spreads (pesto, hummus); and even (Kim only) blending cookie dough (see No. 1, above). #(clear n4). 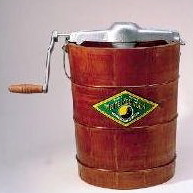 [%image icecreammaker float='clear right' width=200]  [%amazonProductLink "Ice-cream maker" asin=B000F1LLEI]. Remember the White Mountain, turn-it-yourself crank model that your grandparents had? We love these because, after taking turns turning the crank for half an hour, we really feel as if we deserve ice cream. A back yard, unfortunately, is not included. #(clear n5). 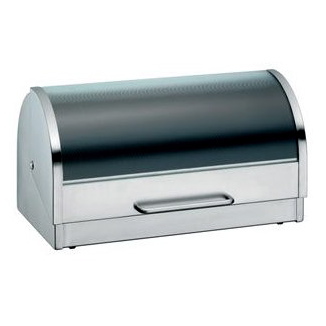 [%image breadbox float='clear right' width=200] [%amazonProductLink "Bread box" asin=B0006H4BEI]. Form and function meet in this stunning enclosure that will keep your daily bread fresher longer. Speaking of countertops, it takes up some space, but just think of all the room you'll have in the drawer where you've been storing bread. #(clear n6). 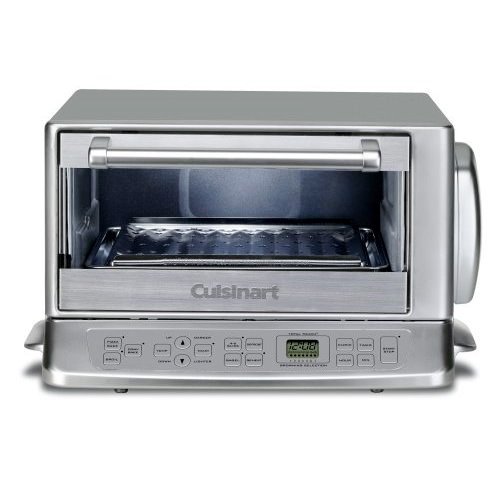 [%image toasteroven float='clear right' width=200] [%amazonProductLink "Toaster oven" asin=B000PYF768]. Energy efficiency and versatility are the the main draws of this device. No longer will you have to heat the entire oven just to warm up a slice of pie or pizza. And pretty much anything will fit into a toaster oven: bagels, wide slices of bread, even nuts or seeds you'd like to toast for more flavor. #(clear n7). 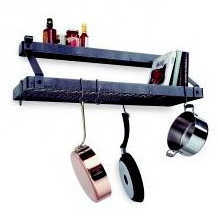 [%image potrack float='clear right' width=200] [%amazonProductLink "Pot rack" asin=B00020M37G]. They're not cheap, but if your kitchen suffers from lack of storage, you'll appreciate this splurge as much as we do. Every time you pull down a skillet, rather than rifling through cupboards, you'll feel grateful. Especially pressed for room? Opt for one with a shelf. #(clear n8). 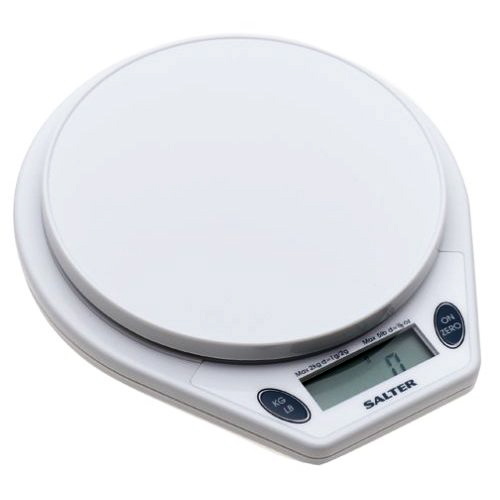 [%image scale float='clear right' width=200] [%amazonProductLink "Kitchen scale" asin=B0000YWUY0]. Matthew Amster-Burton swears by his kitchen scale, and he convinced us every household needs one. But our lists are longer than our arms, so we're thinking we'll buy these for our husbands, just to see how they measure up. Guys?